DISCOVER PURE FLORIDA & ALL THE BEAUTY IT HAS TO OFFER! Hunter Springs Kayaks is so much more than the name suggests. 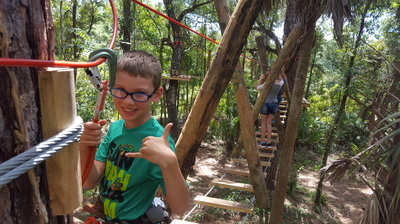 We are your ONE STOP for all of your adventures. 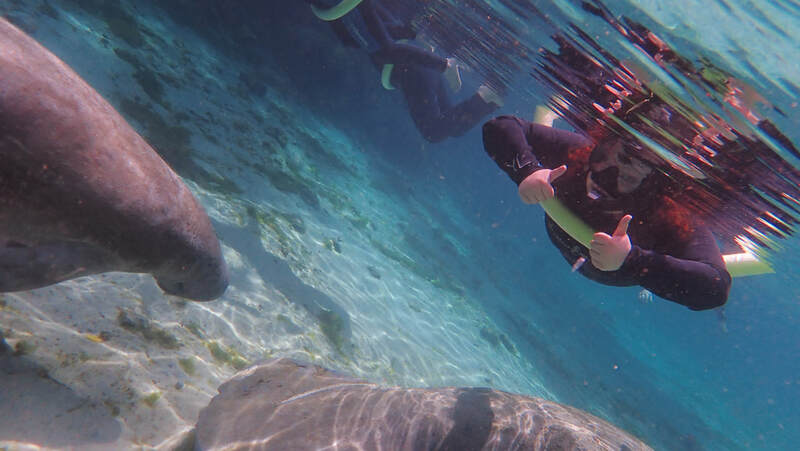 We have everything you need to enjoy your time on the water with manatees, experiencing Pure Florida like no other. 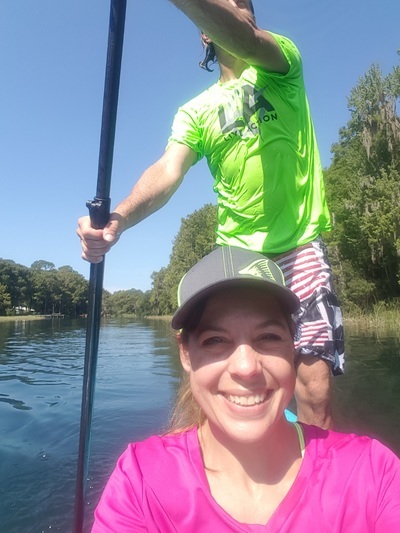 Paddle along with a Guide for an "In-Water-Guided"
We are the premier destination for Kayaks, Paddle Boards, Hybrids and everything in between. No matter your skill level, age or the size of your group, we have the perfect rental options to make your day a success! 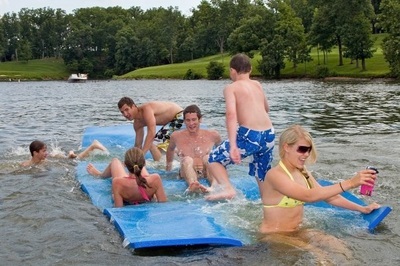 New to the world of paddling? No worries! We have crafts to accommodate beginners and will are happy to walk you through the basics of operation your craft. Join a Guided Eco-tour for a more in-depth instruction on paddling and swimming with manatees. Prefer self-guided over joining a tour? We offer rentals for up to 3hrs, 5hrs, 8hrs and/or multi-day!! During Manatee Season, it is policy to wear a snorkel/mask & wetsuit while swimming. Wetsuits provide buoyancy, which allows a swimmer to stay floating in the Passive Observation Position, as seen in the Manatee Manner's Video. The wetsuits also provide warmth against the never changing 72F(21C) spring water. 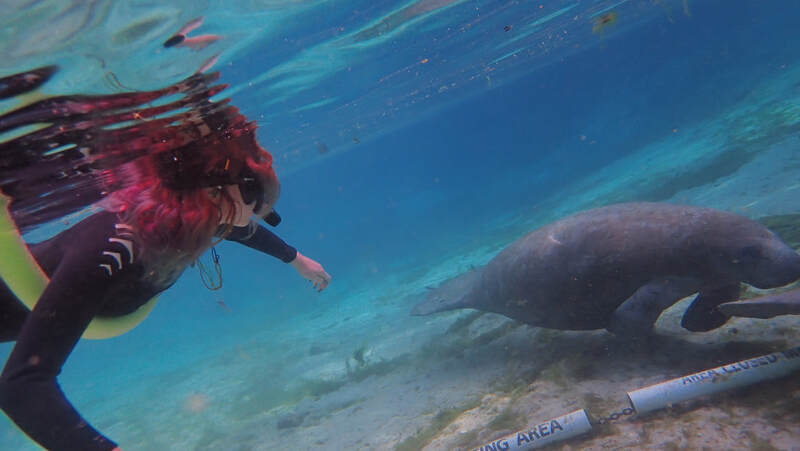 The snorkel/mask allows visibility at all times which is key to avoid kicking, or swimming into a manatee or restricted Manatee Resting Areas. The Three Sisters Springs' restricted sanctuary zones are marked off with boundaries located UNDERWATER, as seen in the picture above. This policy is in place for the safety of the manatees and swimmers. Without this equipment, you are risking accidentally harming or harassing a manatee, which is penalized with either 1 year in jail, or fines up to $100,000. If unprepared, equipment is available for rent. When booking online, opt for 1 swim package(Includes: 1 Diveflag, 1 Snorkel/Mask set, 1 Drybox & 1 Pool Noodle), then select how many Wetsuits and Extra Snorkel/Masks needed to support every unequipped swimmer. Please Note: Three Sisters Springs is closed to paddle crafts during Manatee Season . Three Sisters Springs reserves the right to hold periodic discretionary closures depending on circumstances within the springs. IF the springs are open to swimmers, you may tie up to the warring line located along the shore outside of the springs, and then swim in. 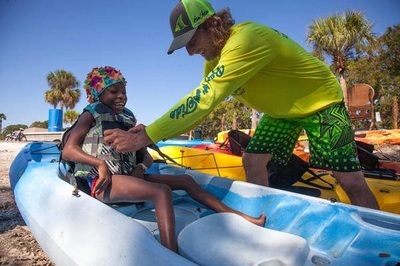 It doesn't matter if you're wanting to spend the day at the beach, out on the water, up in a tree or snorkeling with a manatee, Hunter Springs Kayaks can help you plan the perfect adventure for your entire family. Our Crystal River location is conveniently located right by Hunter Springs Park, next to the city parking lot.